Management Fees. They're like cable cars. For those who rent out properties, a big bugbear seems to be the management fees they have to pay for a lettings agent, and perhaps they look for the cheapest or best ‘deal’ on the market. But is this always the best approach to letting out a property? Management fees might actually be a good thing. They’re like cable cars. They might make you a little bit nervous but they can take you to new heights. You see, paying us a management fee means we take care of maintenance, rental payments, finding a tenant and everything else you normally need to worry about. This way, while we take care of your most valuable possession, you can relax and enjoy the ride. Why should you choose Your Move over other lettings agents? Recent research by Your Move has found that 42% of landlords think it's most important to find tenants they can trust, and 26% think having tenants pay on time is crucial1. Our fees actually mean we work harder to find you the best tenant, to make sure you can get the best return on your investment, and that you avoid any void periods. We are the largest single branded letting agent in the UK2, meaning we invest in training and have the best agents who can update you on any legislation changes. We work with Rightmove and Zoopla, and produce high quality property photography, to ensure your property looks its best to potential tenants searching online. We have over 150 lettings specialists who are always on hand to provide you with award winning property management advice and support with maintenance. We want to find the management service that fits your needs, whether that’s just collecting your rent or taking care of everything that needs to be done. Find out more about our services here. So while management fees might irritate you as a landlord, it’s important to remember that they give our teams the resources to deliver a really great service, meaning your properties are never stood empty and there’s always rent coming your way. What do you think about management fees? Let us know by leaving a comment below or on our Facebook page. 2. 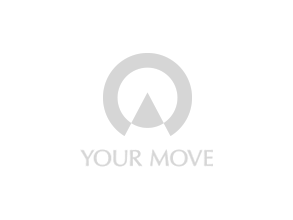 Based on Your Move analysis of estate agency branch numbers on competitor websites.